Saree Parry is an award-winning interior home decorator specializing in helping busy clients design spaces that are sophisticated, multifunctional, and upscale. Starting with a complimentary design consultation, Saree works closely with clients to understand their style, and create a design plan that speaks to their desires and needs. The experience is personalized, stress-free, and enjoyable. What clients appreciate most about Saree is her keen eye for colour and texture, and her ability to create intuitive designs that match their needs. Saree is an ideal designer for those with an appreciation for thoughtful design and quality, but with limited time to spend on managing the process. START WITH A COMPLIMENTARY DESIGN CONSULTATION Design planning is a collaborative process during which you’ll discuss your lifestyle and taste, design goals you’d like to accomplish, and what’s most important for each space. After the consultation you’ll receive a design concept complete with furniture and decor recommendations for each room you’re decorating. Saree Parry Design will then order and oversee the installation of every decorating element in your design. The process is seamless, enjoyable, and stress-free. 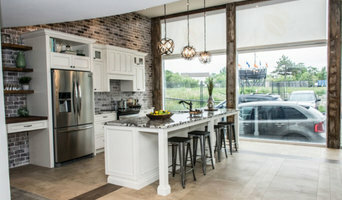 We are an Ottawa-based interior design company specializing in custom designs and curated home style. We craft high-end kitchens, bathrooms, living rooms, luxurious new builds and more. From larger scale interior design projects to furnishings and finish selections West of Main will guide you - and your home - from beginning to end. 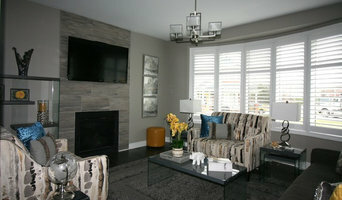 We are Ottawa, Ontario's premier interior design and interior decorating company. 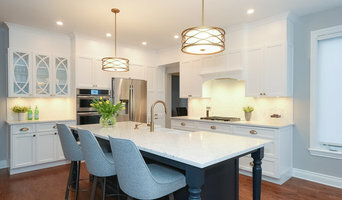 We work right across the greater Ottawa area including Kanata, Stittsville, Nepean, Barrhaven, Manotick, Riverside South, Gloucester and Orleans and specialize in residential and light commercial. We have hundreds of suppliers of home furnishings and home decor products, which enables us to give each project a unique look. We always put the customers likes and dislikes first and always work within the client's budget. I am a certified interior decorator who loves to design and create beautiful spaces. I help clients make their space their own by finding creative solutions to their decorating dilemmas. Transforming existing pieces with function and creativity is one of my favourite things to do. So whether you need a lot of help or just a little, I’d love to work with you! 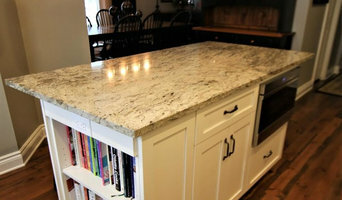 Best of Houzz 2014 and 2015. Otta Decorate! is a multi-award winning interior decorating firm offering great design, great value, and great service. We specialize in one thing...beautiful decorating! Whether you enjoy surrounding yourself with time honored traditional design, or inspired, modern, cutting edge couture; it's our ultimate goal to design spaces that reflect your taste and your lifestyle. Whether your project involves a living room, family room, dining room, bedroom or office we have the products and ideas to suit your every need. We pride ourselves on working collaboratively with our clients to find the perfect products that satisfy their design style and budget. We make the whole process of interior design easy and fun for our clients. We have thousands of samples of top quality home furnishings products from drapery, blinds, shades, furniture, bedding, lighting, accessories, artwork, floor covering and wall covering from which to choose. And the best part, we bring our design ideas and samples to the most convenient showroom in the world - your home or office. That way we can select the colors and textures in the comfort of your own environment with your lighting, space and lifestyle right there to guide our ultimate design and product decisions. What could be easier? We are all about custom and service. It starts with our initial complimentary consultation appointment scheduled at your convenience. We listen to your design dreams and create a customized, functional design and product plan just for YOU. Then we coordinate everything - from measuring, product ordering and finally to installation. And the best part, we handle it all, helping to make your life easier and save you valuable time and money. At Decorating Den Interiors it's our goal to help you make your home all that it can be. Contact us today and let's work together to make your home more beautiful one room at a time.